"When you love the love of man, you WILL have to lie. And the most devastating thing is that you lie to yourself." 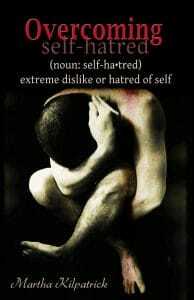 How much of the warfare and difficulty endured by the average Christian is rooted in self-cursing born of self-hatred? Fortunately, overcoming self-hatred is easier than we think thanks to the victorious Life of Jesus Christ! Overcoming Fear is Martha’s urgent call to freedom to all believers beset by the sin of fear. 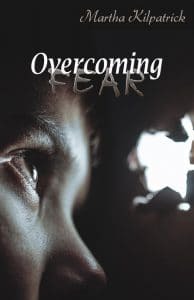 It identifies the root of fear and points readers to Jesus. Do we know what a ‘little child’ is and how to become one? Our very entrance to the Kingdom depends on it. Live securely with daily disasters and a looming economic collapse! 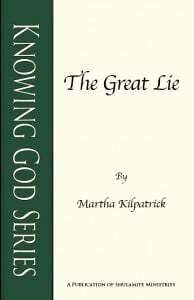 Martha clearly demonstrates that the Kingdom is the only unshakable in the midst of the collapsible. 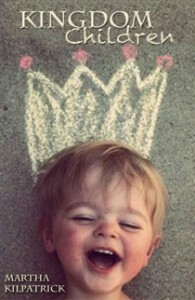 Choosing to let God BE God frees us to experience the wondrous discovery of Who He is and Who He is in me! 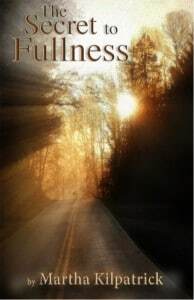 Booklet 1 of 6 in the Hearing God series. Martha explores what it means to live a lifestyle of prayer through the lives of David, Mary and Elijah—lovers of God who pursued and required as vital just one thing. Booklet 2 of 6 in the Knowing God series. 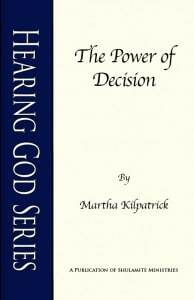 In this teaching, Martha explores the power of decision and how God limits Himself and works in our lives based on our decisions. Booklet 3 of 6 in the Hearing God series. 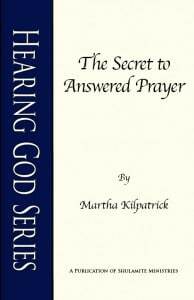 In this booklet, Martha unfolds the secrets to answered prayer as revealed in the parables and encounters of Jesus and the disciples. Booklet 4 of 6 in the Hearing God series. In this teaching, Martha describes the radical, hidden life of prayer as exemplified in the lives of Joshua and David. 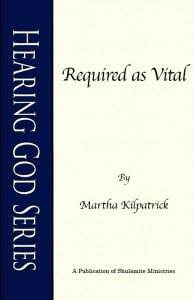 Booklet 6 of 6 in the Hearing God series. 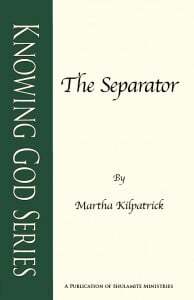 In this beautiful booklet, Martha shares one of her most poignant and personal writings regarding the secret of total surrender. 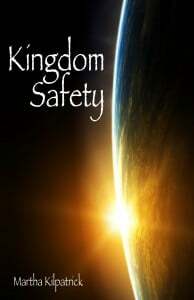 Booklet 2 of 6 in the Knowing God series. 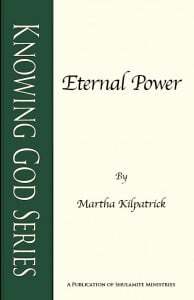 In this teaching, Martha explores our contorted views of power and our desperate struggle to possess illegitimate power. 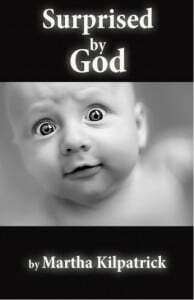 Booklet 4 of 6 in the Knowing God series. 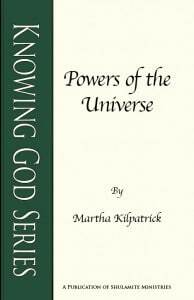 In this teaching, Martha looks at each of the powers in the universe (man, Satan, God) against the authority of the Scripture to see who actually has power - real power. Booklet 5 of 6 in the Knowing God series. Through an exploration of Jesus’ own life and an amazing retelling of the story of Jonah, Martha defines the true roots of Christian unity as well as the causes of Godly separation. 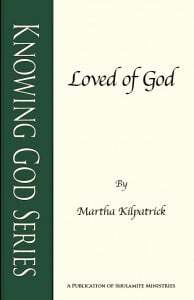 Booklet 1 of 6 in the Loving God series. 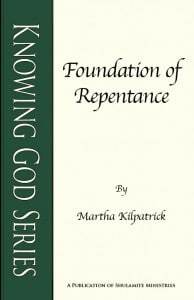 In this teaching, Martha explores personal repentance as essential preparation for recognizing, and loving, the Son of God. 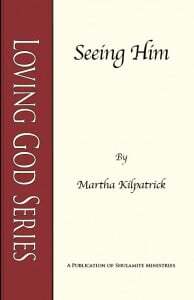 Booklet 2 of 6 in the Loving God series. 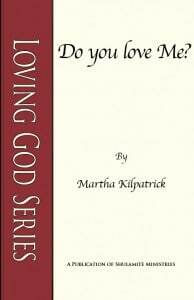 In this teaching, Martha reveals the many competitors to loving God as well as the unfathomable Love that exposes them.